The cooler nights and shorter days are a sign that it’s time to make sure your home is winter ready. We may not be able to predict what the winter will bring but we can definitely prep our home for whatever comes our way. Sealing the windows is a very important task and for good reason. With the cold months quickly approaching you’ll want to keep the elements where they belong…outside! To prevent icy cold drafts from coming through the windows you’ll want to get a good quality silicon sealant. By sealing the windows you’ll save money on energy bills as your heater won’t have to work as hard to keep the house warm. 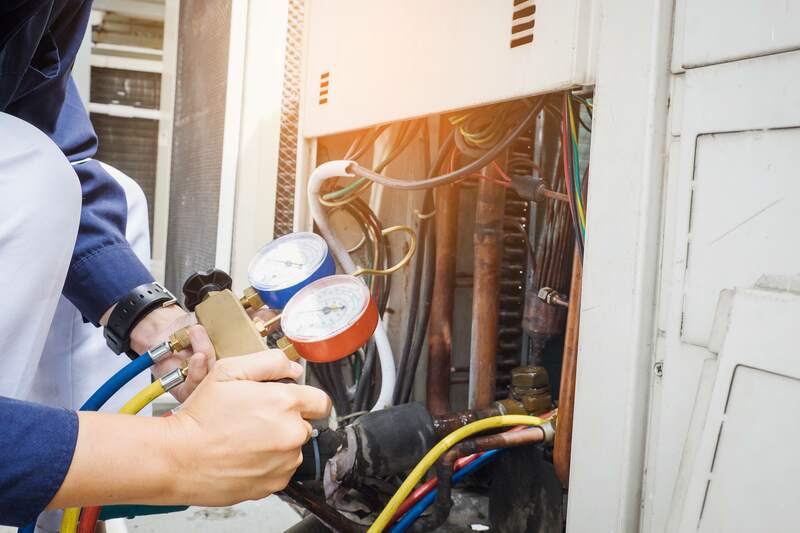 After resting for the warm months it’s almost time to put the furnace back to work but before you do you’ll want to make sure to service it first. Tune-ups help to make sure everything is in good working order to ensure the most comfort for you and your family throughout the winter. By staying on top of furnace maintenance you will increase its life span, catch any potential problems and in the long run save time and money. Don’t forget to turn off all outdoor pipes and store away the hose. With below freezing temperatures, outdoor pipes can crack or even burst if left on during the winter. You’ll also want to make sure to store your hose properly too. All you have to do is drain it, coil it, and store it in a warmer area such as the garage or basement. If you forget to put away the hose, accumulated ice can create pressure in your pipes and cause some serious damage. To erase a major headache in the spring, be sure to include these simple tasks in your winter preparations. A great winter tip is to change the direction of your ceiling fan. By changing your ceiling fan to move in a clockwise motion (when you’re looking up at it) you will be creating an updraft. This helps the warm air that has risen to the ceiling to be pushed back down to those using the room. Don’t turn the fan up too high, a gentle and slow speed is all you need to do the trick. By following these simple tips, you’ll enjoy a warmer and stress-free winter. Your generosity and kind spirit are an inspiration. Through 100 Women Who Care and Keller William’s RED Day that you organized you have fed hundreds of children for many weeks! We have reached a milestone of feeding 1000+ children each weekend - something that has been made possible by you! From all of us at Food4Kids - Thank You!